At first he heard only her voice in the darkness. Then, when the lights clicked on, Noah Thorne knew he was in for something just a little wild! The revelation that interior designer Alex Bennet had been a lion tamer for four years both delighted him -- and put him on guard. But it was the siren look in her green eyes that promised to cage his heart forever. Alex was a woman whose past held more than one delicious secret, more than one unusual gift. And when their nights became filled with shockingly vivid dreams of the two of them in other times and places, they wondered if Fate was the ringmaster guiding their passions. 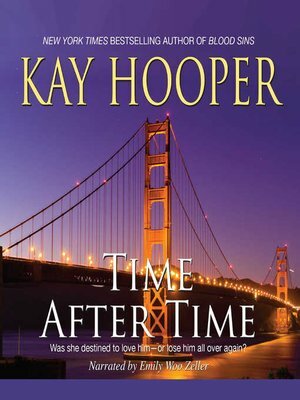 Kay Hooper is the award-winning author of Sleeping with Fear, Hunting Fear, Chill of Fear, Touching Evil, Whisper of Evil, Sense of Evil, Once a Thief, Always a Thief, the Shadows trilogy, and other novels. She lives in North Carolina.